Are you tired of playing games with your customers? Does it sometimes seem like you and your client are working against each other? 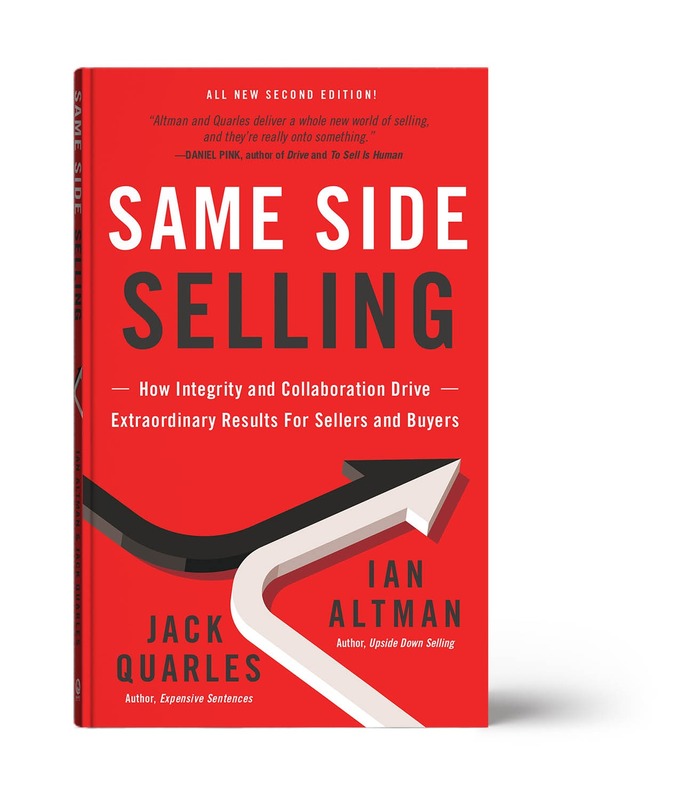 What makes Same Side Selling different from any other book on this topic is that it is co-authored by people on both “sides”: a salesman (Ian) and a procurement veteran who understands how companies buy (Jack). The buyer’s perspective is baked into every sentence of the book, along with the seller’s point of view. Our aim is to replace the adversarial trap with a cooperative, collaborative mindset. We also want to replace the old metaphor of selling as a game. Discover how to make the sales process easier & more productive! Check out Same Side Improv™ a fun and highly interactive way to help teams to rehearse important conversations that put them on the Same Side with the customer. Let the Same Side Quadrant Journal help you maintain focus on gathering the right pieces of information during a business meeting to tell you if an opportunity is real or not real.